Spaceflight has successfully launched a flock of 12 Planet Dove satellites from India’s Polar Satellite Launch Vehicle (PSLV)—the 12 spacecraft are shoebox-sized satellites that will be delivered into LEO to provide imaging data. 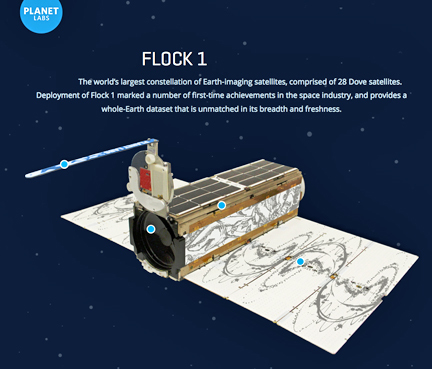 Spaceflight previously arranged for the launch of Planet’s Dove 1 and Dove 2 satellites in April of 2013, as well as its first flock of satellites from the International Space Station in January 2014 with partner NanoRacks. Spaceflight then arranged for the launch of 11 more Dove satellites, known as Flock 1c, from the Dnepr launch vehicle through partner Innovative Solutions in Space. Spaceflight has negotiated the launch of 81 satellites on behalf of their customers and has contracts to deploy more than 150 satellites through 2018. The company plans to coordinate its largest launch to date—89 spacecraft—to be deployed by Spaceflight’s Sherpa tug from a SpaceX Falcon 9 later this year. Within the smallsat community, those who hesitate in preparing and planning their next business moves within such a dynamic environment could well be "left behind." 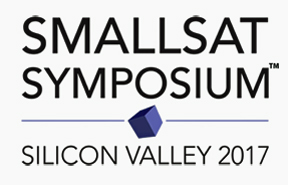 To assist in acquiring the knowledge and expertise to enter and/or continue the acquisition of technology and product to become a successful smallsat actor, Satnews Publishers is delighted to announce that the SmallSat Symposium workshops will be held on February 6 and the conference will be conducted from February 7 to February 8, 2017, at the Computer History Museum, which is located at 1401 North Shoreline Boulevard in Mountain View, California. Craig Clark, Founder Clyde Space Ltd.
Susan J. Irwin, President Irwin Communications, Inc.
Dr. Alex Saltman, Senior Vice President GeoOptics Inc. Professor Sir Martin Sweeting, Founder and Executive Chairman Surrey Satellite Technology Ltd. Here's some particularly good news for interested parties — the first 100 registrants will qualify for a $200 discount on the standard event admission... take advantage of this offer... don't dawdle... and register now at this direct link.